Charles Marson, Administrative Law Judge, Office of Administrative Hearings, Special Education Division, State of California, heard this matter on June 6, 7, and 8, 2006, in Manteca, California. Bob N. Varma, Attorney at Law, represented petitioner (Student). Jennifer R. Rowe, Attorney at Law, represented respondent Manteca Unified School District (District). Petitioner’s parents (Parents) were present throughout the hearing. Janice Callanan, the District’s Director of Special Education, was present throughout the hearing. Oral and documentary evidence were received. Closing briefs were received on June 26 and June 28, 2002, and the matter was submitted on June 28. C) Failing to provide to Student the full 90 minutes a day of instruction in the Resource Room that was required by his IEP? 2. Are parents entitled to the provision to Student of a new intensive program designed by the District specifically for dyslexics? 3. Are parents entitled to reimbursement for placement of Student in Valley Oaks School? 1. Student is a thirteen-year-old male who resides within the District and, until recently, attended the District’s Brock Elliot Elementary School (Brock Elliot) as a seventh grader. He has dyslexia. He has been eligible for and has received special education since August 2004 because he has a specific learning disability (SLD). 2. Student’s educational needs reflect his dyslexia. Dyslexia is a specific learning disability that is neurobiological in origin. It is characterized by difficulties with accurate and/or fluent word recognition and by poor spelling and decoding abilities. These difficulties typically result from a deficit in the phonological component of language that is often unexpected in relation to other cognitive abilities. Secondary consequences may include problems in reading comprehension and reduced reading experience that can impede growth of vocabulary and background knowledge. By itself, dyslexia is a medical diagnosis, not an educational need. 3. Student has an attention processing disorder. In 2004 there was a severe discrepancy (of more than 22.5 points) between Student’s ability and his academic achievement in math calculation. Student’s performance was also significantly below his ability in reading comprehension and written communication. Student has struggled since first grade with academic subjects and is easily distracted. 4. On July 22, 2004, the District received from Mother a letter requesting that the District conduct a Slingerland screening of Student. The Slingerland Multisensory Structured Language Instructional Approach (Slingerland) is a simultaneous, multisensory, structured language methodology for the classroom teaching of oral and written language skills to students with dyslexia. It is one of several teaching methodologies based on the Orton/Gillingham Tutorial, a simultaneous multisensory presentation model for the teaching of language arts. Slingerland is accredited by the International Multisensory Structured Language Educational Council (IMSLEC), recognized as an effective methodology, and widely used. A Slingerland screening is designed to screen children to identify those with dyslexia and other disorders. It is intended to be used with other tools rather than alone. 5. In response to Mother’s letter, the District scheduled a meeting of a Student Study Team. The team met on August 5, 2004, considered Mother’s request, and learned that Student’s grandfather, uncle, and cousin had all suffered from dyslexia. The team referred the matter to a school psychologist. 6. Robert Ackerman, the school psychologist to whom Student was referred, declined to administer a Slingerland screening because it is not normed, meaning it does not yield a score in relation to large groups of peers. Ackerman chose instead to base his analysis on five normed, or standardized, tests: (1) the Wechsler Intelligence Scale for Children – Third Edition (WISC-III); 1 (2) the Developmental Test of Visual Perception – Adolescent & Adult (DTVP-A); (3) the Test of Auditory-Perceptual Skills-Revised (TAPS-R); (4) the Conners’ Rating Scales-Revised (Parent and Teacher Editions)(CRS-R), a social and emotional assessment; and (5) the Woodcock-Johnson-III Achievement Test (WJ-III). The District did not specifically assess Student for dyslexia, and did not determine whether he was dyslexic. However, the WISC-III, the TAPS-R, the CRS-R, and the WJ-III are all recognized as useful, and are used, in assessing deficiencies related to dyslexia. For the purpose of determining Student’s unique educational needs, these tests produced the same kinds of information as would have been produced by a Slingerland screening, with more reliability and in more detail. No evidence showed that Ackerman’s testing missed anything a Slingerland screening would have revealed. The absence of a Slingerland screening had no effect on Ackerman’s analysis, the August 24, 2004 IEP, or Student’s education. 1 Student had been given the WISC-III in September 2001, and Ackerman chose to rely on the 2001 test rather than to administer it again. The 2001 test showed that Student had an IQ of 94, a result confirmed by later testing. 2 Diven confirmed much of the District’s position by testifying that Student’s areas of need are reading, writing, and mathematics, and that if an IEP team wrote goals addressing those areas, the IEP would contain goals in Student’s areas of need. 7. Ackerman based his analysis on the five tests, a file review, a student interview, and his observation of Student during testing. He did not use any single measure, assessment, score, or product of scores as the sole criterion for his recommendations. Ackerman assessed Student in all areas of educational need related to his suspected disability. 8. Ackerman informed Student’s IEP team that, according to his analysis, Student had an IQ of 94 and a discrepancy of more than 22.5 points between his ability and his academic achievement in math calculation. Student’s performance was also, to a lesser degree, below his ability in reading comprehension and written communication, and Ackerman’s report identified those deficits. 9. At an IEP meeting on August 24, 2004, the District found Student eligible for special education in the category of SLD because of his attention processing disorder and the discrepancy between his ability and his performance in math calculation. The District adopted an IEP offering Student 90 minutes a day of individualized instruction in math calculation, reading comprehension, and written expression in a Resource Specialist Program (RSP). The IEP team adopted goals and objectives, and authorized classroom accommodations consisting of extended time periods in which to complete assignments, re-explanation of assignments; preferential seating; and the taking of tests in the RSP room if needed. Parents expressed concern that Student might have dyslexic tendencies in writing and reading but they consented to the IEP. 10. At the August 24, 2004 IEP meeting, the District considered all available information, including Ackerman’s test results and analysis. The IEP team did not use any single measure, assessment, score, or product of scores as the sole criterion for its decisions. 11. At its August 24, 2004 meeting, the IEP team did not recommend an assessment for dyslexia, nor did it consider an intensive program designed specifically for a dyslexic student. It did recommend that a speech/language (S/L) assessment be made, and Parents agreed. On August 27th Student was assessed, and was determined to be within normal limits on all measurements and not eligible for special education on the basis of an S/L deficit. On September 14th, the IEP team met to discuss the S/L assessment, and District members recommended that the August 24, 2005 IEP remain in place. Parents did not consent to the recommendation. However, since Parents had previously consented to the August 24, 2004 IEP, it was put into operation for the SY 2004-2005. 12. The IEP team met on August 23, September 6, and October 14, 2005, to formulate a new IEP. Because the District believed that Student had made progress in the SY 2004-2005, the District’s SY 2005-2006 IEP offer was similar but not identical to the SY 2004-2005 IEP. On October 14, 2005, the District again offered Student 90 minutes a day of individualized instruction in math calculation, reading comprehension, and written expression in the RSP. District members of the IEP team proposed modified versions of the goals and objectives agreed to in 2004, and the same classroom accommodations. The proposed goals and objectives were based on those of the previous year, but were revised to reflect Student’s growth and progress, and his entry into the seventh grade. The IEP team did not consider an intensive program designed specifically for a dyslexic student. Parents declined to agree to the IEP, so the District continued to use the August 24, 2004 IEP. 13. In creating the SY 2005-2006 IEP, the IEP team did not use any single measure, assessment, score, or product of scores as the sole criterion for its decisions. 14. There was no evidence that the August 24, 2004 IEP would have been, or should have been, any different if the District had discovered Student’s dyslexia in 2004. Parents make no argument that, if proved, would lead to such a conclusion. Parents do not argue that the District failed to determine one or more of Student’s unique educational needs, nor do they argue that the IEP should have addressed any additional area beyond math calculation, reading comprehension, and written expression. They do not challenge the appropriateness of the IEP’s goals and objectives, or argue that additional goals and objectives were needed. Parents argue only that Student’s program lacked the intensity required to address his needs, that he should have been provided a single program focused directly on his dyslexia, and that, as proved by Student’s subsequent lack of progress, the District failed to adequately implement the goals and objectives set forth in the August 24, 2004, IEP. 15. On September 12, 2005, a District psychologist, Paul Ouellette, assessed Student for dyslexia, and concluded that Student had moderate dyslexia. On September 21, 2005, parents obtained a Slingerland screening of Student by the Valley Oaks School for Dyslexia (Valley Oaks) in Turlock, California, a regional center for the practice and teaching of the Slingerland methodology. The Slingerland screening found Student to be severely dyslexic. Parents did not furnish the Slingerland screening to the IEP team in time for it to be considered in the creation of the SY 2005-2006 IEP. 16. There was no evidence that the SY 2005-2006 IEP would have been, or should have been, any different if the District had discovered Student’s dyslexia in 2004. As before, Parents make no argument that, if proved, would lead to such a conclusion. Parents do not argue that the District failed in 2005 to determine one or more of his unique educational needs, nor do they argue that the SY 2005-2006 IEP should have addressed any additional area beyond math calculation, reading comprehension, and written expression. They do not challenge the appropriateness of the IEP’s goals and objectives, or argue that additional goals and objectives were needed. Instead, Parents argue only that the SY 2005-2006 IEP had the same alleged flaws as the August 24, 2004 IEP: it lacked the intensity required to address Student’s needs, and should have been a single program focused directly on his dyslexia. As before, Parents argue that, as proved by Student’s subsequent lack of progress, the District failed during the SY 2005-2006 to adequately implement the goals and objectives set forth in the August 24, 2004 IEP, which were the last agreed-upon goals and objectives. 17. During SY 2004-2005, Student’s RSP teacher was Julia Berryman, who has 23 years of experience teaching special education students and has received advanced training in the Slingerland methodology. Berryman fashioned for Student a methodology that used Slingerland three days a week and, in addition, the SRA/Reach program and the Read Naturally program. The latter two programs are research-based language development programs useful in improving the reading of dyslexic and other students and in widespread use in resource rooms. Berryman also used Books on Tape. She coordinated her instruction closely with Student’s regular education teacher Dennis Fleming. 18. During SY 2005-2006, Student’s RSP teacher was Suzanne MacInnes, who has 17 years’ experience teaching or assisting special education students. To deliver Student’s curriculum, MacInnes used Reads Naturally, and also used Rewards, another research-based reading intervention program widely used in resource rooms for the instruction of dyslexic and other students. 19. Parents did not prove that, in order to obtain a FAPE, Student required an intensive program specifically designed for dyslexics, or a program consisting of just one methodology. Only one witness other than Mother testified that a program specifically designed for dyslexics was appropriate. Patricia Diven is an educational consultant who, from 1997 to 1999, was the Principal and Special Education Director for Valley Oaks (VO). There she recruited and trained the teaching staff, recruited students, and managed the educational program and curriculum. From 1992 to 1997 she was the lead teacher at VO and mentor to its staff. She is a Director of the Slingerland Institute, and has extensive experience teaching in public and private schools. 20. Diven’s testimony that Student needs a program such as Slingerland that is specifically targeted to dyslexics was less persuasive than the contrary opinions of District witnesses. Diven had never met, observed, worked with, or tested Student, or talked to his teachers or assessors. Her opinion was based only on a review of the Slingerland screen conducted in September 2005, samples of Student’s writing and mathematics exercises, and the District’s test results. 21. Diven has no training in psychology, speech/language pathology, or attention processing disorders, and she agreed that she lacks the training to interpret the results of the District’s psychological and other tests. She also agreed that the International Institute for Dyslexia recommends that an assessment for dyslexia be multidisciplinary and involve multiple professionals, including a psychologist and a speech pathologist. 22. Diven opined that the amount of instruction Student was given by the District in the RSP was insufficient because, at 90 minutes a day, his progress would be too slow. She testified that a mix of programs, such as that used by the District, tends to confuse a dyslexic student because material is presented by different teachers with different words, and that students who emerge from these “eclectic” programs usually do not function at grade level. However, Diven had not read Student’s IEPs, and was not specifically asked whether the District’s program for Student was an appropriate instructional program. 24. Student’s RSP teachers Berryman and MacInnes testified that the mix of techniques used in the RSP brought educational benefit to Student. Their testimony was supported by that of Debbie Ruger, the Principal at Brock Elliot and an experienced adminstrator and special education teacher, who visited the RSP frequently and attended all of Student’s IEP team meetings. Taken together, the opinions of Berryman, MacInnes, and Ruger were more credible than Diven’s, in part because Student did derive educational benefit from their efforts. 25. The August 24, 2004 IEP and the SY 2005-2006 IEP were designed to bring educational benefit to Student. The former brought Student educational benefit, and the latter would have, if Parents had consented to it. The educational benefit of those IEPs to Student was meaningful and more than de minimus. 26. Parents contend that Student did not make educational progress as a sixth grader in the SY 2004-2005 or as a seventh grader in the portion of SY 2005-2006 in which he attended Brock Elliot. However, the weight of evidence of his grades, his test scores, and his goals and objectives showed that while Student did not make progress in all areas, he made sufficient progress in some areas to demonstrate that his 2004-2005 and 2005-2006 IEPs were calculated to bring him some educational benefit. 29. Parents do not argue that Student’s grades in the SY 2004-2005 compare unfavorably with his grades in the SY 2003-2004. 3 Instead, Parents contend that Student’s grades are too low, as an absolute matter, to indicate progress. They point out that, during the sixth grade, Student showed fourth grade reading and comprehension abilities, and that he never achieved the level of proficiency desired by the State on most of its standardized tests. Parents also argue that Student’s grades were inflated by the District, and that realistic grades would show he is performing worse than his official grades indicate. These arguments lack merit for the reasons that follow. 30. A student who receives low letter grades year after year is not necessarily failing to progress. Letter grades roughly reflect a student’s abilities relative to those of his classmates. A below average student is likely to remain below average as compared to his classmates while he makes progress at the same rate they do. Student’s abilities, as measured by his IQ of 94, are somewhat below the average and it can reasonably be expected that he will continue to receive lower than average grades. 31. A student who receives similar letter grades year after year is progressing and receiving educational benefit. Schoolwork is progressively more difficult as a student advances through a grade and from one grade to a higher grade. A student who can do sixth grade work as well as he did fifth grade work has progressed one grade in one school year. A student who maintains the same grade position relative to his classmates over a year’s instruction has progressed at the same rate as his peers, and has shared in the progress of the group. District witnesses testified credibly that a comparison of Student’s grades from the SY 2003-2004 and the SY 2004-2005 showed roughly a year’s growth. He kept up, though he did not catch up, with his classmates. 32. Parents argue that Student’s grades were inflated by the school’s practice of adjusting grades to reflect modification in the delivery of curriculum. It was the District’s practice to put an asterisk by some of the grades of a special education student, with the notation: “* Denotes a modified Curriculum or program.” Several of Student’s grades were accompanied by an asterisk (see above). District witnesses testified credibly that, for Student, the asterisk meant that the delivery of his curriculum was modified but the curriculum itself was not, and that his grades, even accompanied by asterisks, accurately reflected his performance of grade-level work. Julia Berryman, Student’s RSP teacher in SY 2004-2005, testified that she and Dennis Fleming, Student’s regular education sixth grade teacher, cooperated in determining Student’s grades for that year. Berryman testified credibly that the asterisk indicated an area in which modifications were made and in which there was an IEP goal. Student’s grades were marked to reflect those facts but were not inflated; they were the actual grades that Student earned. Fleming confirmed that testimony. 33. Parents argue that because of alterations made in the delivery of curriculum to Student by two of his teachers, Student’s grades are useless as an indicator of his performance. Berryman testified that, in addition to the accommodations afforded Student under his IEP, she sometimes altered his instruction by cutting the length of his assignment in half (assigning, for example, just odd- or even-numbered questions). She sometimes allowed him, in taking tests, to use notes and journals not allowed regular education students. Janet Sanders, Student’s seventh grade language arts teacher, sometimes made similar alterations. At least once she discussed with Student a rough draft of his writing assignment, and helped him type his final version. But the materials subject to these methods were the same materials as those used by Student’s regular education teachers. 34. The teachers’ alterations of their methods did not change the fact that Student was performing at grade level. For example, Berryman’s practice of cutting the number of questions on a test in half, or of extending Student’s time to complete a test, may only reflect the fact that it takes Student longer to complete an individual exercise than it typically takes his developing peers. That does not necessarily mean he is less able to master the grade-level exercise. 35. Parents did not prove that the alterations made by Berryman and Sanders in the methods by which they delivered Student’s curriculum had so substantial an effect on his grades that those grades are useless as indicators of his performance. Parents do not argue that Student should have been given Ds or Fs instead of Cs. The weight of evidence showed that Student’s grades are of some use in assessing his performance. 36. On September 21, 2005, the District sent Parents a Deficiency Report, warning them that “[a]t the present time your child is having difficulty in the following area.” It reported grades (without asterisks) of D- in Science, F in Language Arts, and D- in Social Studies. Another Deficiency Report sent on December 19, 2005, reported that on that date Student’s grades (without asterisks) were F in Social Studies, D in Science, and F in Math. Parents characterize these grades as Student’s “unmodified” and “true” grades, but they are not comparable because they were issued less than half way through trimesters, not at the end of trimesters as were Student’s official grades (see above). The September 21, 2005, Deficiency Report was sent less than half way through the first trimester (August 15, 2005 to November 4, 2005). The December 19, 2005, Deficiency Report was sent less than halfway through the second trimester (November 7, 2005 to February 24, 2006). Each reflects Student’s performance at the time it was sent. Neither can be usefully compared to Student’s end-of-trimester grades. 37. Parents observe that Student’s report cards for each of the trimesters of SY 2004-2005 bear the printed notation: “The student is not making satisfactory progress toward promotional standards.” Parents do not draw a specific conclusion from this fact, and the record would not support one. Though the warning does appear on Student’s sixth grade report cards, he was promoted to seventh grade. The notation also appears on Student’s third trimester fifth grade report card. Directly below it appears the notation: “Student will be placed in the 6th grade for next year.” There is nothing in the record to explain these warnings, to suggest that they are anything more than cautionary, or to explain their relationship, if any, to the school’s policies of promotion. 38. By the end of the first trimester of SY 2005-2006, Student’s grades in core academic subjects had dropped from Cs to Ds. The SY 2005-2006 IEP was written before those grades were issued. Parents did not prove that Student’s drop in grades during the fall of 2005 was the consequence of any flaw in his educational program. Dr. Jody Browning, a well-qualified school psychologist employed by the District, testified without contradiction that students’ grades often decline as much as one letter grade in the transition from sixth to seventh grade. At that age, she explained, it is common for students to be distracted by new hormonal activity. And at Brock Elliot, the seventh grade is the beginning of junior high school. Instead of having one teacher and one classroom, a student has several teachers and must move from class to class. Dr. Browning testified persuasively that this transition was difficult for all students, but especially difficult for a student with an attention deficit, and, therefore, that Student’s lower grades in the seventh grade did not indicate a lack of educational progress. 39. Principal Ruger testified credibly that she believed Student was making progress in the SY 2005-2006 and was having a lot of successes in his classroom, but his grades for that period were affected severely by his failure to turn in very many assignments. Janet Sanders, Student’s sixth grade general education language arts teacher, also testified that Student was progressing during that period, but had some difficulty in completing and turning in homework. Contemporary reports and evaluations confirm that fact. 40. Student’s failing grades in the second trimester of SY 2005-2006 were caused primarily by his withdrawal from school during that trimester and his subsequent failure to attend classes. 41. Dr. Browning testified credibly that if a student’s scores remain the same from year to year on the state’s annual standardized tests (STAR tests) and the WJ-III, the student has demonstrated a year’s growth. If a student’s scores are higher than the previous year’s, the student has demonstrated more than a year’s growth. Neither general nor special education students are expected to show more than one year’s growth in a school year. These advances were substantial and showed considerable progress in those subjects, even though Student’s scores remained well below his grade level. Parents argue that because all the scores fall into the broad category “Below Basic,” Student made no progress. But the more precise numerical scores show that he did. A basic score is 300. On the spring 2005 math portion of the STAR tests (the area of his greatest deficit), Student scored 50 points higher than the previous year and within one point of the Basic level. These scores demonstrated approximately a year’s progress. 44. Parents argue that Student’s scores on the 2004 WJ-III should not be compared to his scores on the 2005 WJ-III because the former test was normed only for age equivalency while the latter was normed for both age equivalency and grade level. However, they presented no evidence to show that this difference had any significant impact on WJ-III scores generally, or on Student’s scores, or that it rendered comparison of the two tests unreliable or misleading. Student’s 2004 and 2005 scores on the WJ-III are useful for comparison. 45. Overall scores on the WJ-III are derived from numerous subtests. In 2004 and 2005, scores on the subtests of the WJ-III were accompanied by age equivalencies. In some of these subtests, Student showed significant advances. In Reading Comprehension, for example, he progressed in that year from the age equivalent of less than six years, one month, to the age equivalent of nine years, four months. In others he progressed only a little, or regressed only a little. In Word Attack he regressed an entire year. These scores are mixed, but show substantial progress in some areas. 46. The August 24, 2004, IEP set out five goals for Student with three objectives for each goal. At the end of the year, Student had fully reached only one goal and three objectives. However, as Student’s teachers testified credibly, Student made significant progress toward completion of all his remaining goals and nearly all his remaining objectives. 48. The only evidence introduced by Parents that suggested Student did not progress toward his incomplete goals and objectives was Mother’s testimony. In her opinion, the writing samples and mathematics exercises Student brought home demonstrated that he was making no progress. Mother agrees she is not an educator and not qualified to teach student. She based her opinion that Student’s writing skills were declining primarily on the fact that, in the sixth grade, he could not write in cursive script as well as he could in the third grade. Samples of Student’s writing confirm that conclusion. But the District’s witnesses proved that writing in cursive script was not one of Student’s goals or objectives, was not part of the sixth grade curriculum, and is not required by the state to be taught in sixth grade. They testified without contradiction that a student can obtain a high school diploma without knowing how to write in cursive script. 49. Parents did not establish a persuasive basis for Mother’s opinion that Student could not perform simple math problems in SY 2004-2005. The weight of evidence showed that Student’s math skills significantly improved during sixth grade. His math score on the STAR tests improved substantially (see above). Student’s sixth grade teacher Dennis Fleming testified that Student did not meet state proficiency standards in math in the first trimester of SY 2004-2005, but in the second and third trimesters he did meet those standards. 50. The combined opinions of Student’s teachers that Student was making progress toward most of his unmet goals and objectives were more persuasive than Mother’s. They worked with Student on those goals and objectives every school day, and were thus better situated, as well as trained, to make such a judgment. 51. Berryman and MacInnes, Student’s RSP teachers in SY 2004-2005 and SY 2005-2006 respectively, testified that Student received the full 90 minutes a day of instruction in the RSP as specified in his IEP. No evidence contradicted these statements. Student received his allotted time in the RSP. 52. Parents, in their Closing Brief, make two new arguments. One is that at the hearing, Susanne Macinnes, Student’s SDC teacher during SY 2005-2006, misstated the status of her teaching credential during SY 2004-2005. The other is that the alterations made by Berryman and Sanders in the delivery of curriculum to Student (see above) either should have been contained in the August 24, 2004, IEP, or should not have been made because they were not contained in that IEP. These arguments lack merit. Moreover, they were not included in the statement of issues in Parents’ Prehearing Conference Statement or in the Order Following Prehearing Conference, and were not addressed at the hearing. Since closing briefs were filed simultaneously, the District had no opportunity to refute them. These arguments are therefore untimely and are rejected on that ground. 53. The placements made and offered by the District in the August 24, 2004 and SY 2005-2006 IEPs constituted placements in the least restrictive environment in which Student could be appropriately and satisfactorily educated. The placements proposed by Parents would be more restrictive. 54. Based on the foregoing findings, it is not necessary to examine the appropriateness of the alternative placements proposed by Parents. We do not judge an IFSP in hindsight; rather, we look to the IFSP’s goals and goal achieving methods at the time the plan was implemented and ask whether these methods were reasonably calculated to confer [student] with a meaningful benefit…. 10. 34 Code of Federal Regulations, part 300.350(a) provides that a district must make “a good faith effort to assist the child to achieve the goals and objectives or benchmarks listed in the IEP.” However, subsection (b) of that regulation provides that the IDEA “does not require that any agency, teacher, or other person be held accountable if a child does not achieve the growth projected in the annual goals and benchmarks and objectives.” According to the accompanying Comment, the purpose of subsection (b) is “to make clear that the IEP is not a performance contract and does not constitute a guarantee by the public agency that a child will progress at a specified rate.” (64 Fed.Reg. 12598 (Mar. 12, 1999)). 12. Federal and state law establish a strong preference in favor of placement of a special education student in the least restrictive environment. A special education student must be educated with nondisabled peers “to the maximum extent appropriate,” and may be removed from the regular education environment only when the nature or severity of the student’s disabilities is such that education in regular classes with the use of supplementary aids and services “cannot be achieved satisfactorily.” (20 U.S.C. § 1412 (a)(5)(A); 34 C.F.R. § 300.550(b).) A placement must foster maximum interaction between disabled students and their nondisabled peers “in a manner that is appropriate to the needs of both.” (Ed. Code § 56031). 19. Based on Factual Findings Nos. 2-8, 10-11, and 13-16, and Legal Conclusions Nos. 16-17, the District did not fail to assess Student in all areas of suspected disability. The federal and state statutory requirements are satisfied if the District assessed in all areas of educational need, which it did. The District was not required to assess for dyslexia itself; it was required to assess in all areas of educational need related to that disorder. 20. Based on Factual Findings Nos. 2-16, 24, and 51, and Legal Conclusions Nos. 1-2, 5, and 16-17, the District did not fail to address any need of Student beyond math calculation, reading, and writing. 21. Based on Factual Findings Nos. 2-16, 24, and 51, and Legal Conclusions Nos. 1-2, 5, and 16-17, the District did not fail to perceive or address any of Student’s needs because it failed to assess for dyslexia until September 2005. 22. Based on Factual Findings Nos. 2-25 and 51, and Legal Conclusions Nos. 1-2, 5, 12, and 16-17, the District did not fail to provide a necessary program of intensive instruction directed specifically at dyslexia. 23. Based on Factual Findings Nos. 2-3 and 9-51, and Legal Conclusions Nos. 1-12 and 16-17, the August 24, 2004 and SY 2005-2006 IEPs were reasonably calculated to confer some educational benefit on student. Student’s progress in SY 2004-2005 and SY 2005-2006 was more than trivial or de minimus and therefore demonstrated that Student received some educational benefit under Rowley. Parents cite no comparable authority to the contrary. 24. Based on Factual Finding No. 51 and Legal Conclusion Nos. 1-5, the District did not fail to provide to Student the full 90 minutes a day of instruction in the Resource Specialist Program that was required by his IEP. 25. Based on Factual Findings Nos. 2-53, and Legal Conclusions Nos. 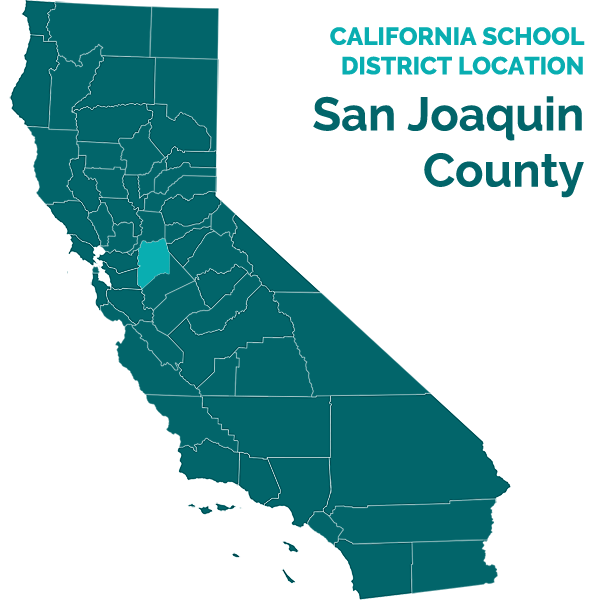 1-12 and 16-18, Parents are not entitled to reimbursement for placement in Valley Oaks School, or to the placement of Student in a new intensive program designed by the District specifically for dyslexics. Petitioner’s requests for relief are denied. Education Code section 56507, subdivision (d) requires this decision to indicate the extent to which each party prevailed on each issue heard and decided. The District prevailed on all issues.